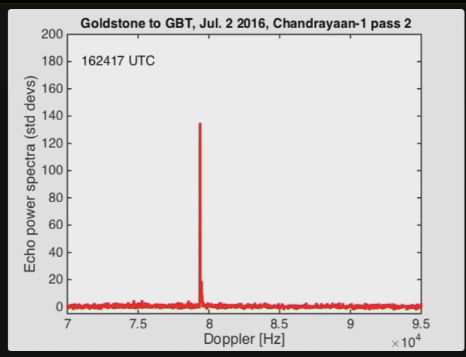 The article goes on to mention the use of powerful radar signals broadcast by the Deep Space Network's 70m Goldstone dish and received by the Green Bank 100m dish. Question: Since the deep space network can perform ranging on spacecraft much farther away (tens of thousands of times farther than the moon) by itself, why was it necessary to use a non-colocated, non-DSN dish to receive signals in this case? 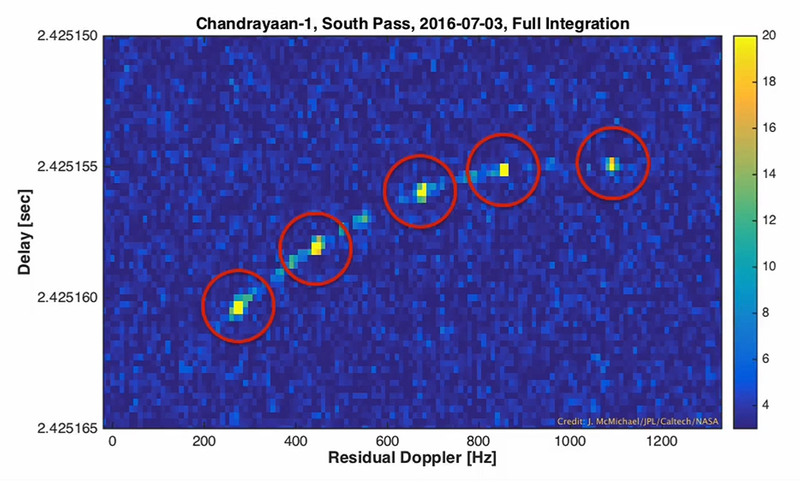 Radar echoes from the spacecraft were obtained seven more times over three months and are in perfect agreement with the new orbital predictions. Some of the follow-up observations were done with the Arecibo Observatory in Puerto Rico, which has the most powerful astronomical radar system on Earth. Arecibo is operated by the National Science Foundation with funding from NASA's Planetary Defense Coordination Office for the radar capability. ...which suggests to me at least that the Arecibo dish could perform the measurement alone, without the need of a second dish. Edit: In both cases a pseduo-random coded radio signals are broadcast at the satellite. For spacecraft in deep space it is received, amplified, and simultaneously and coherently rebroadcast back, while for radar ranging the return signal is passively reflected back. Here coherently means that the carrier signal for the transmission is carefully phase-locked with the incoming signal's carrier so that even though it is at a different frequency, the doppler shift can be recovered and analyzed much in the same way as in radar. Due to the $1/r^4$ loss of signal intensity, radar detection of spacecraft can not be used much past a few lunar distances, so for much longer distances the amplification and coherent rebroadcast is required. From a signal processing point of view, delay and doppler information are recovered by correlating the received signal with the transmitted code. However from an operational point of view there may be substantial differences. The explanation has to do with the operation of the radar transmitters and the round trip light travel time. 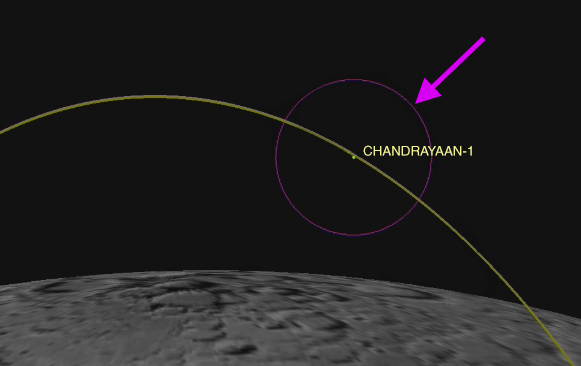 It takes about 3 seconds for a radar pulse to travel from the Earth to the Moon and back. The planetary radar transmitters are high power; the Goldstone transmitter (at full strength) is 500 kW, the Arecibo transmitter is nearly 1000 kW. By contrast, the radar return is quite weak. It is difficult (essentially impossible) to design a system that could simultaneously transmit this much power and receive a weak echo. Only a small amount of the transmitted power would have to leak into the receiver for it to swamp the received echo. Accordingly, if the configuration is monostatic (i.e., the same antenna transmits and receives), the transmitter has to be switched on and off. Switching the transmitter this rapidly can be damaging, either to the transmitter or to associated components. By contrast, with a bistatic configuration (i.e., one transmitting antenna and one receiving antenna), the transmitter can be left on and long tracks can be obtained, which also can be valuable to build up signal-to-noise ratio. I know nothing of the activity you're asking about, but I do know something about radar. All the radar systems I've worked with used a single antenna to both transmit and receive. The power of the transmitter is very large compared to the return echo that needs to be received, and the very sensitive receiver needs to be disconnected from the antenna when the radar pulse is generated. The receiver is then connected to the antenna until the next pulse. This is performed by a duplexer, which in many radars consists of a T/R tube. Switching from transmit to receive operation takes time. This effects the Minimum range of the radar. Perhaps this is why a different antenna/receiver was necessary. Also, as Phiteros points out in a comment, it could also be the size of the receive antenna was necessary to get the sensitivity needed. Since the deep space network can perform ranging on spacecraft much farther away (tens of thousands of times farther than the moon) by itself, why was it necessary to use a non-colocated, non-DSN dish to receive signals in this case? The ranging you're referring to is cooperative radio ranging: The DSN sends a signal to the spacecraft, the spacecraft receives it, and sends it back at maximum gain after a predetermined time. I think signal strength reduces with 2r2 in this case. Radar ranging, in contrast relies on an echo of the transmitted signal, which is much weaker. Signal strength reduces with r4. Not the answer you're looking for? Browse other questions tagged deep-space-network radar doppler-ranging lro chandrayaan-spacecraft or ask your own question. 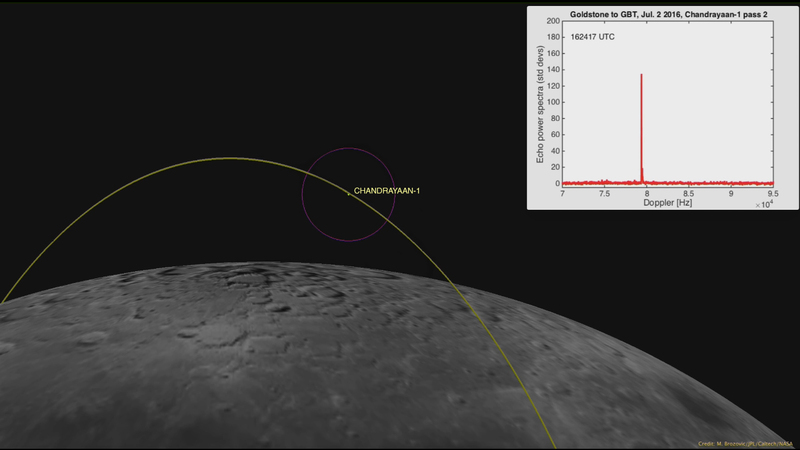 Why do the LRO's orbital elements appear to constantly oscillate - except recently? Has DSS-43 ever been used in high power mode (>>20 kW) for an emergency situation? Why does DSN sometimes uses two dishes at the same time to receive Voyager-1? Are low, polar lunar orbits in general relatively stable? Is delay-doppler radar imaging of NEO asteroids possible only if it spins fast enough? How can the data rate be increased in the space which is full of noise? Why doesn't thermal radio emission from a DSN “hot dish” completely swamp the benefits of a cold LNA? Why are there so many waveguide feeds (?) near the focus of Cassini's dish antenna? How does a three-way doppler shift measurement work?